Poor sanitation is a leading cause of child mortality. Today, an estimated 800 children under five years of age die every day from diarrheal disease caused by lack of hygienic water and sanitary living situations. Approximately 950 million people also still defecate in the open. This exposes areas to the risk of disease and results in a range of social and economic problems. The gravity of the situation has elevated the topic to the top of the global agenda. In September 2015, the 2030 Agenda for Sustainable Development was adopted by world leaders. Goal 6 of the 17 Sustainable Development Goals (SDGs) calls for access to water and sanitation for all. LIXIL is at the forefront of a movement addressing this pressing global problem. One solution that has already been commercialized is the affordable plastic SATO (Safe Toilet) series. First developed by LIXIL's American Standard Brands with the support of the Bill & Melinda Gates Foundation, SATO products are designed to cover open pit latrines and feature a counterweighted trapdoor that allows waste to flow through, while sealing shut to keep out flies, other insects and odors. 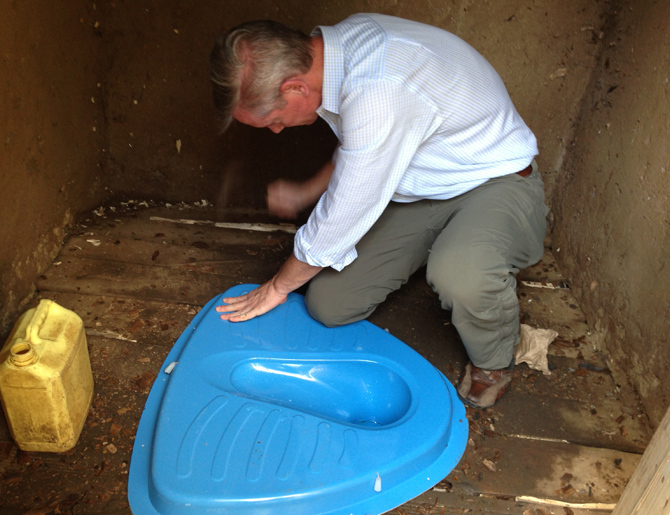 This helps prevent the spread of disease, as well as improve both the safety and user experience of open pit latrines. As of mid-2016, over 1 million SATO units have been installed in over 14 countries. 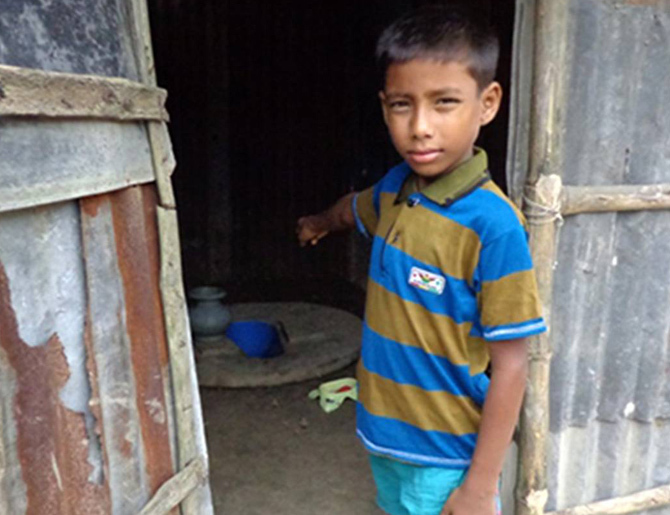 Of these, some 500,000 SATO toilets were donated to nongovernmental organizations for installation in homes and schools in Bangladesh, and another 300,000 have been sold in Bangladesh for as little as $2 each. Widely known as frugal innovation, this design approach means going for affordable, simple and sustainable solutions. "With SATO, they didn't try to reinvent the wheel," says Navi Radjou, an innovation strategist and the author of the book Frugal Innovation: How to Do More With Less. "In emerging markets," he explains, "you don't want product innovation that radically changes the customs and traditions of a community. The magic is selectively changing something for the better." The design process for the SATO was similar to creating a product for the U.S. market. During dozens of iterations, the core team of 10 people experimented with the shape of the trapdoor and the flush mechanism. They analyzed computational fluid dynamics to ensure good water flow. Many prototypes later, the SATO was successfully field-tested in Bangladesh in late 2012. Specialists in design for developing markets say the SATO works well for users and the environment. Mariana Amatullo, vice president of the Designmatters program at Art Center College of Design, in Pasadena, California, was especially struck by its simplicity. "It's not overly designed or engineered and is appropriate to the context," she notes, adding that American Standard introduced innovation by strengthening an existing product while keeping the price low. Projects like SATO, which won a "Patents for Humanity" award in 2015 from the U.S. Patent and Trademark Office, have helped improve sanitation along with initiatives from other companies as well as NGOs and United Nations' agencies, including SATO partner UNICEF. The number of children dying from diarrhea and other diseases associated with inadequate sanitation has fallen from 1.5 million in 1990 to just above 600,000 in 2012, according to the World Health Organization. Over roughly the same time period, nearly one third of the global population, or 2.1 billion people, has gained access to an improved sanitation facility, and diarrhea is no longer among the five leading causes of death worldwide for the total population. Policy makers agree that the pace of change must be accelerated, but there is debate about the best method. Some experts argue that traditional efforts through charities and foundations are hampered by short-term planning and lack of sufficient funding, and therefore struggle to reach the scale needed to effect broad-based change. Innovation strategist Radjou explains, "There are a lot of pilot projects with good intentions, but then nobody is there to maintain them and be accountable. "Corporations like LIXIL can play a bigger role in helping to solve the problem. In addition to SATO, LIXIL is building a number of sanitation products to fit different markets and income levels in developing nations. "The global sanitation crisis is so large and complex that one solution isn't really going to solve the entire problem," says McHale. With a second grant from the Bill & Melinda Gates Foundation, for instance, American Standard conducted field-testing for three retooled versions of the SATO in Zambia, Kenya, Uganda and Rwanda. These toilets provide the same benefits—eliminating the smell and sight of waste—but fit the constraints of sub-Saharan Africa, where concrete can be more expensive and water is too precious a commodity to use for toilet flushing. LIXIL is now scaling up its SATO business and fast-tracking commercial sales in developing countries at a viable price point for low-income consumers, and in 2016 received a third grant from the Bill & Melinda Gates Foundation to support this acceleration. LIXIL is also working in Kenya on two other sophisticated projects. One is the Micro Flush Toilet System, which significantly improves the water efficiency of toilet and sewage systems. Another is the Green Toilet System, designed to treat human waste in an environmentally friendly way by separating liquid and solid waste. The solid waste is then treated with an organic enzyme to kill pathogens. Users are encouraged to complete the recycling process by bringing the solid waste to a nearby composting site and then using the compost to fertilize farmland. Commenting on the potential of the Green Toilet System to make a difference, Yu Yamakami of LIXIL's Social Sanitation Initiatives Department says, "We are developing concept toilets for places without water and sewage systems so we can expand our market and bring sanitation and hygiene to more people".